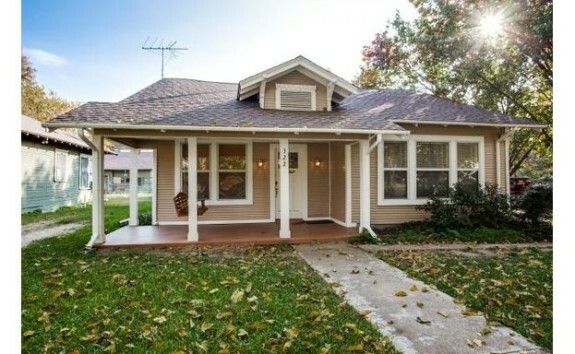 Things may be bigger in Texas, but we’ve found a Dells District cottage that proves a modest footprint can provide everything you need. Our Tuesday Two Hundred is located at 3518 Virginia Blvd. in this historic Oak Cliff neighborhood. It is wonderfully renovated with some big “behind the scenes” work, including new plumbing, electrical, HVAC, and foundation in 2015. That’s peace of mind for a potential buyer. 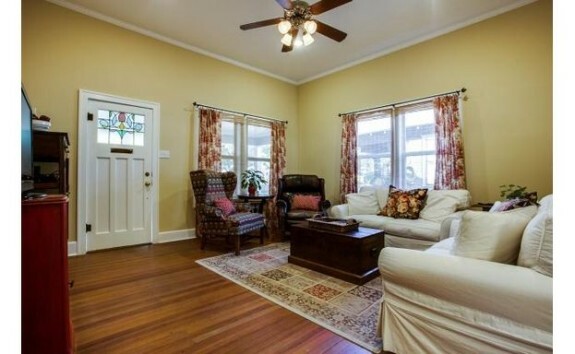 This house has two bedrooms, one hath, and 1,112 square feet on one story, built in 1935. 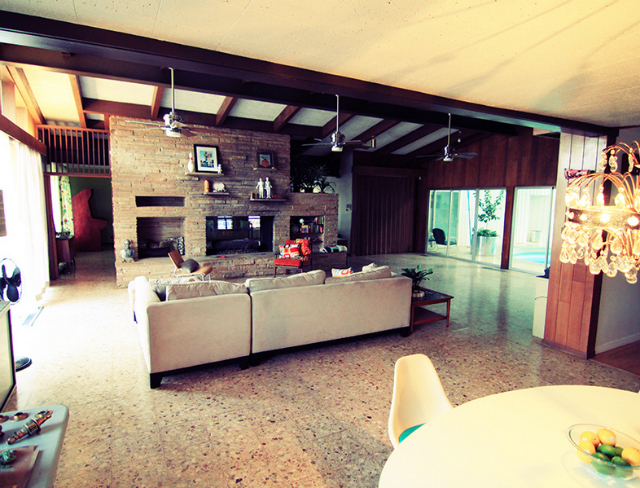 When Erik Schuessler first encountered the midcentury modern house at 1434 Bar Harbor Cir. in the Wynnewood Hills neighborhood of Oak Cliff, he fell in love with its potential and retro aesthetic. As he renovated the 4,600-square-foot beauty and learned more about it, he also grew fascinated by its history. In its heyday, Bar Harbor Drive was known as “Pill Hill” because so many doctors lived on the street. The house’s original resident, Dr. John B. Chester, ran Parkland Hospital and later ventured out on his own with The Chester Clinic and Hospital. Located near the intersection of W. Redbird Lane and S. Polk Street, south of Highway 67, the house was what Schuessler describes as “pretty beat up” when he purchased it in early 2012. And thus began a three-year renovation for Schuessler and his girlfriend Meredith Moore, with Schuessler as the general contractor, carefully overseeing every detail of the revamp. The goal was to bring the house back to its original glory and perhaps make it even better by updating key elements, like HVAC, pool equipment, and the roof. He is selling the house himself—it is listed for $475,000, or around $100 a square foot—but the intent was never to flip the property. It was to restore it. “I think most flips are terrifying—it’s a ‘beige-ification’ with beige walls, Berber carpets, boring, boring, boring, nothing original to the style of the house except for maybe a pillar or two,” he said. “I’ve had a couple of houses and I buy a place, I really get into it, live in for three to five years, then move on. I find myself enamored by a place or an area and I have to buy it.” Jump to read more and see photos! For this week’s Tuesday Two Hundred, we’re venturing out to the L.O. 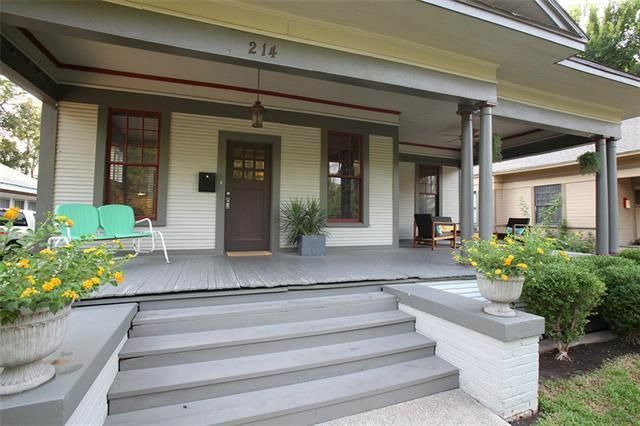 Daniel neighborhood of North Oak Cliff, to a renovated Craftsman at 229 N. Brighton Ave. 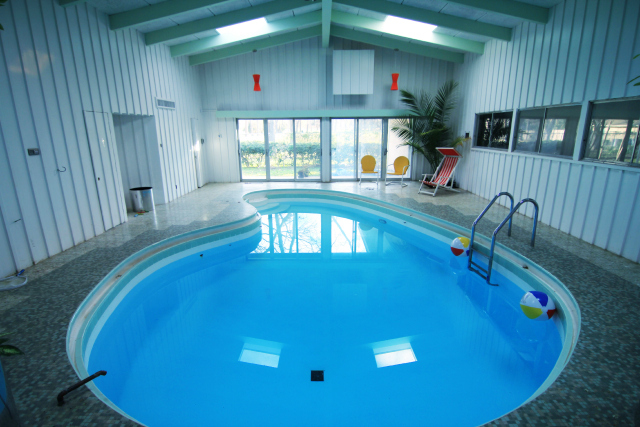 Listed at $225,000, this bungalow is a 3-1 with 1,378 square feet and a saltwater pool. The neighborhood is north of W. Jefferson Boulevard and adjacent to Winnetka Heights, near the intersection of W. Eighth Street and N. Rosemont Avenue. 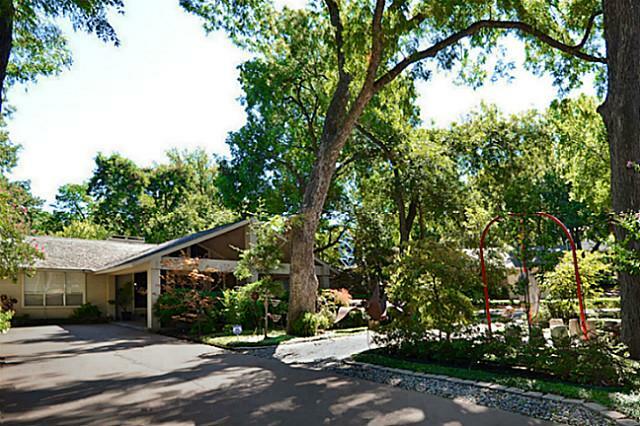 It is listed by Jenni Stolarski with Briggs Freeman Sotheby’s International. 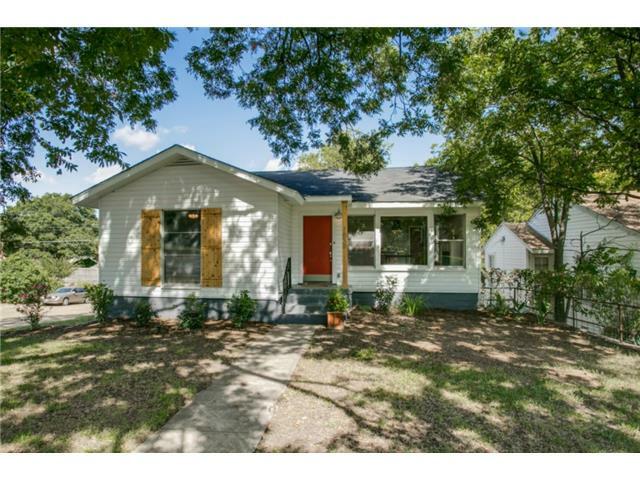 Discovering Oak Cliff: Looking For a Value? Then Look to Elmwood! Ah, Oak Cliff – my how times have changed … and fast! There was a time that there were only about two or three areas anyone outside of Oak Cliff had heard of, let alone would think about living in – those of us who have been over here a while called it the “Ooooo” factor. “Oooooak Cliff?” They’d say, with raised eyebrows. Followed by the second and third questions: “Where do you shop for groceries,” and “Where do you eat”? We did have some decent options, actually. Well, those times seem to in the rear-view mirror, as even national and international media is picking up on the “Brooklyn of Dallas.” We’ve even been called that hipster of hipster part of Brooklyn, Williamsburg. Not sure we’re there yet! What a tremendous find! Kessler Park is one of my favorite neighborhoods. The incredible diversity in architecture, rolling topography, proximity to downtown Dallas and the Bishop Arts District, as well as the close-knit feel make this neighborhood a popular location for families and professionals. 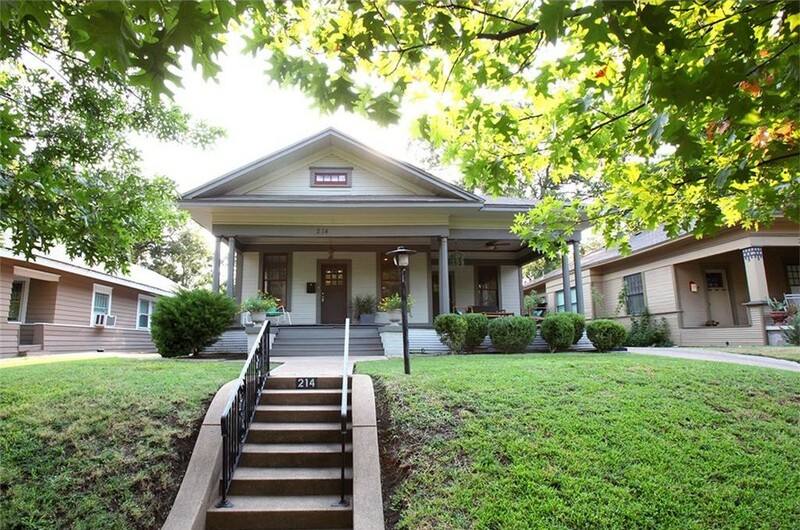 And if you’re looking for a cool home in North Oak Cliff, Kessler Park is where you’ll find one to your taste. 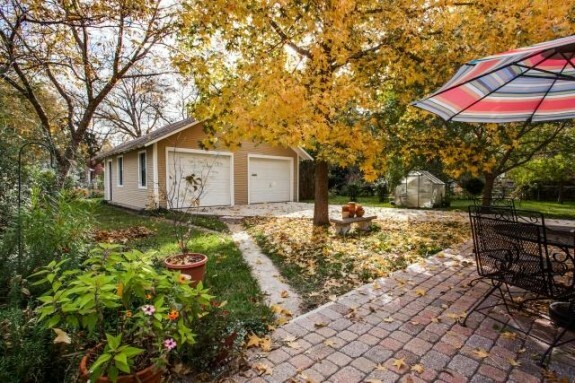 Take, for example, this 1970s contemporary at 1652 Sylvan Ave. that has a dome in the living room. I know that all of the staging advice we publish says, rather unequivocally, to make the home look as if only humans live there. It gives buyers an opportunity to picture themselves in the space, and not all buyers have furry friends. In fact, some people are not pet lovers at all. But I do want to give big ups to the homeowner at 2531 W 10th Street in Kessler Plaza, because this person is letting their Cat Lady flag fly. And I still love the home! It's My Mansion: It's Easy on The Wallet and Eyes! 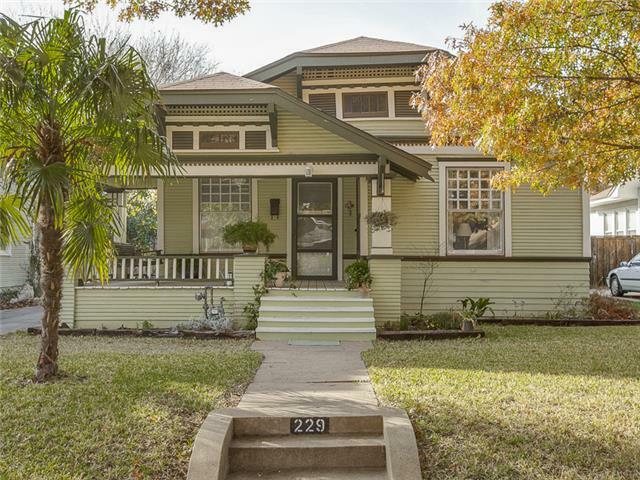 Adorable Oak Cliff Craftsman-Style One-Story Will Steal Your Heart! 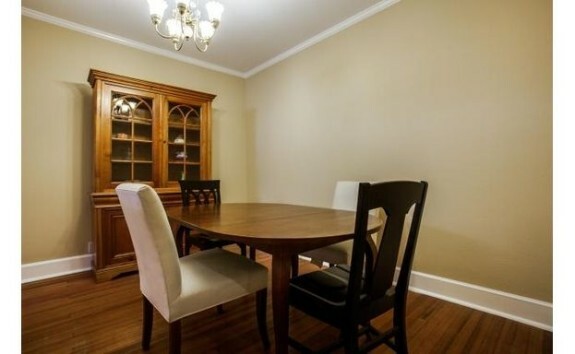 It’s amazing what you’ll find when you’re just browsing around MLS, and boy, are there deals to be had! I cannot tell you how thrilled — THRILLED! 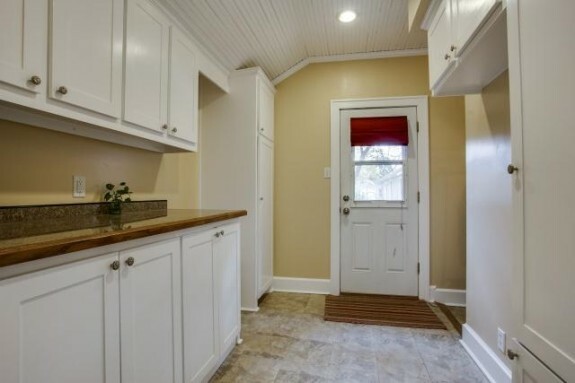 — I was to see that yes, you can still buy a great home in Oak Cliff for under $200K. I know! I can’t believe it either! 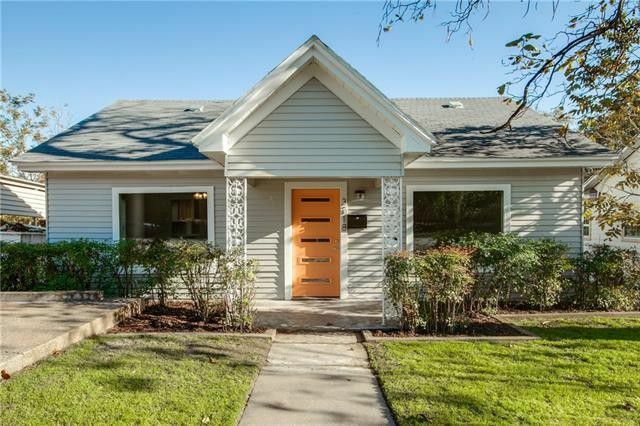 Seriously, this home is adorable and the perfect way for someone who wants to live in Oak Cliff but doesn’t have the budget for a huge Craftsman or Prairie-style home in Winnetka Heights or Kings Highway. 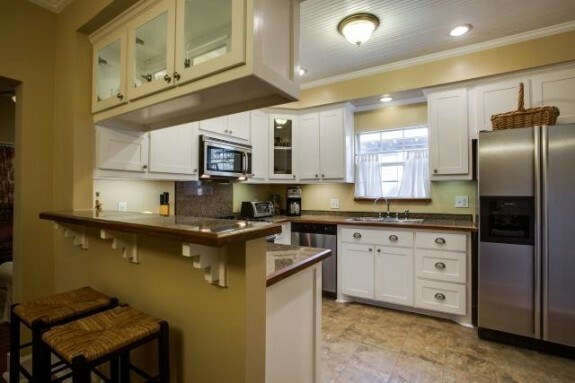 You’ll love the way this home flows, too, and the kitchen was recently remodeled to make it both gorgeous and functional. A lot of homes in this area, which is called Sunset Hill, still have ancient kitchens with the washer and dryer right in the middle of them. Not only do you have sleek stainless steel appliances with gorgeous cabinets, but you get room for your washer and dryer OUTSIDE OF THE KITCHEN! Brilliant! 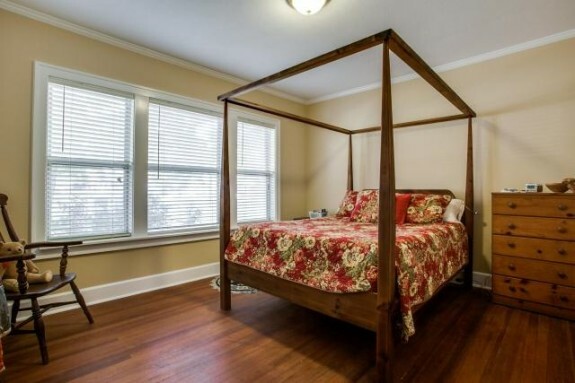 The bedrooms are a great size, and you’ll love the huge windows, too. Another bonus to this house is the refinished hardwood floors that look just breathtaking throughout the home, and make the bedrooms feel cozy and elegant at the same time. There are two baths in this home, one of which has an awesome claw-foot tub and the other has a pre-fab corner shower unit. I am not a fan of those, but you know what? 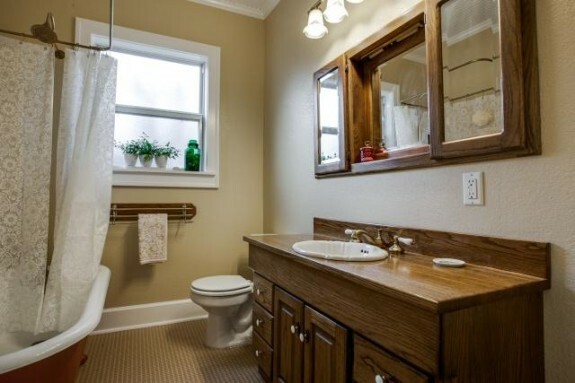 There are two bathrooms in this home, which is practically unheard of for a house built in 1924, so I’ll just appreciate that there’s a second one and leave it at that. Both baths feature new hardware and updated vanities, too. 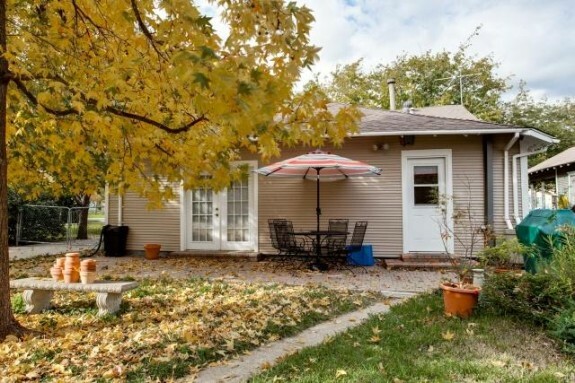 The backyard is where you’ll really start to warm to this home, and boy, isn’t it just gorgeous in the fall with that lovely maple tree? This cottage sits on an absolutely immense corner lot, giving you 1.26 acres all to yourself. How amazing is that? You’ll love the detached two-car garage, too, which faces the adorable brick patio accessible by both the laundry area and the master bedroom’s french doors. 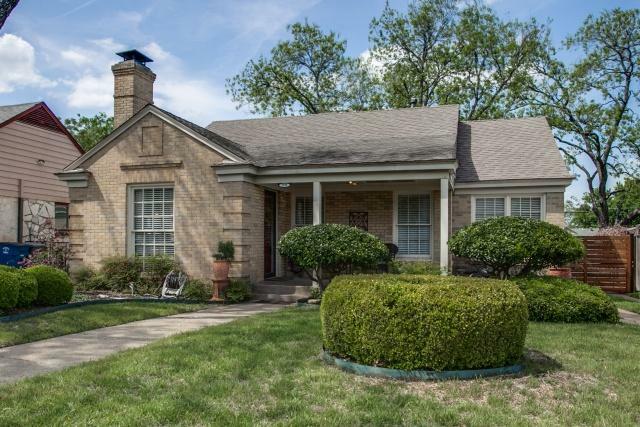 Honestly, in Dallas right now, this home will give any buyer the most bang for their buck. What do you think?